The funerals took place at the 450 years old Kofukuji Buddhist Temple in Isumi and the robot dogs were sent there by electronics and vintage repair company A Fun Co. The company has sent over 800 Aibos dogs to receive this special treatment over the years. Nobuyuki Norimatsu, who heads A Fun, told the Japan Times this is because he genuinely believes the robots have souls. “We’d like to return the souls to the owners and make the robot a machine to utilize their parts. We don’t take parts before we hold a funeral for them,"
wrote one former pet owner. This is no surprise considering Sony built these machines to bond with humans. "Aibo can form an emotional bond with members of the household while providing them with love, affection, and the joy of nurturing and raising a companion. It possesses a natural curiosity, and we hope it will bring joy into the everyday lives of our customers while growing alongside them as a partner,” said a Sony press release in 2017. 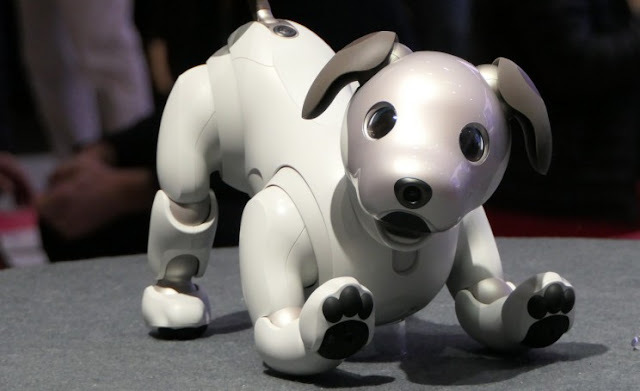 The most recent version of Aibo was launched in Japan in January 2018 and sold 11,111 units in the first three months despite costing 198,000 yen and featuring a monthly charge of 2,500 yen for cloud based services that can program new behaviors.